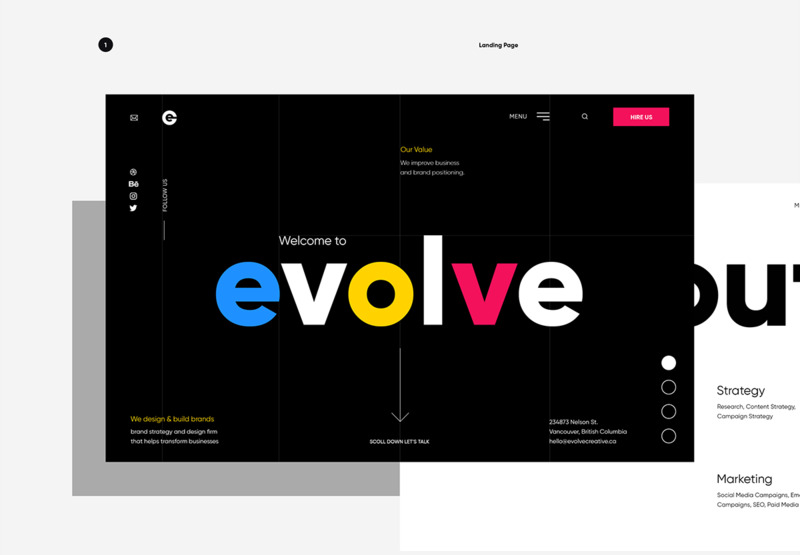 Broklin Onjei shared a beautiful web design project on Behance. 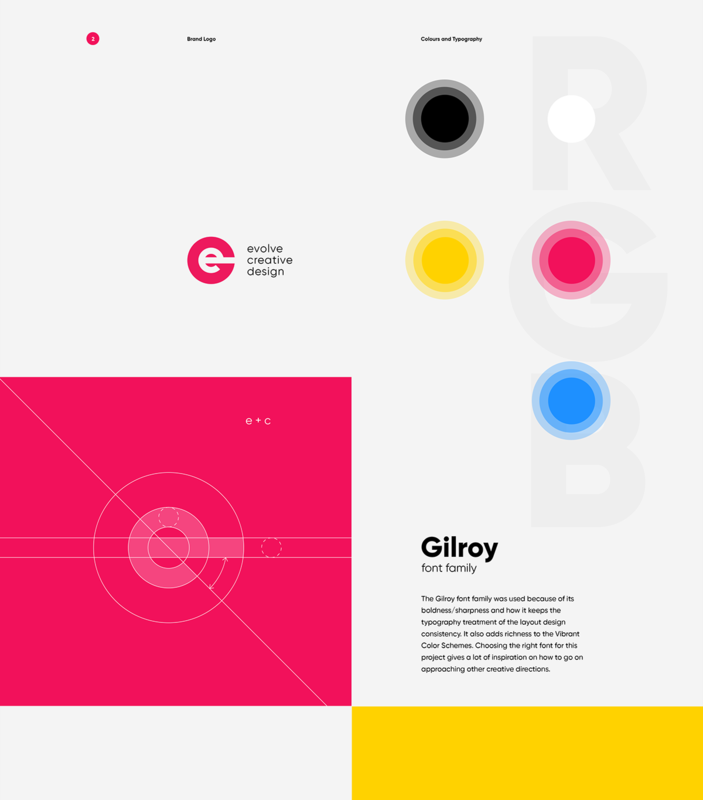 Using three different vibrant colours to define a creative agency approach to design and a unique monogram logo made of e (evolve) + c (creative) to lift up the brand name. 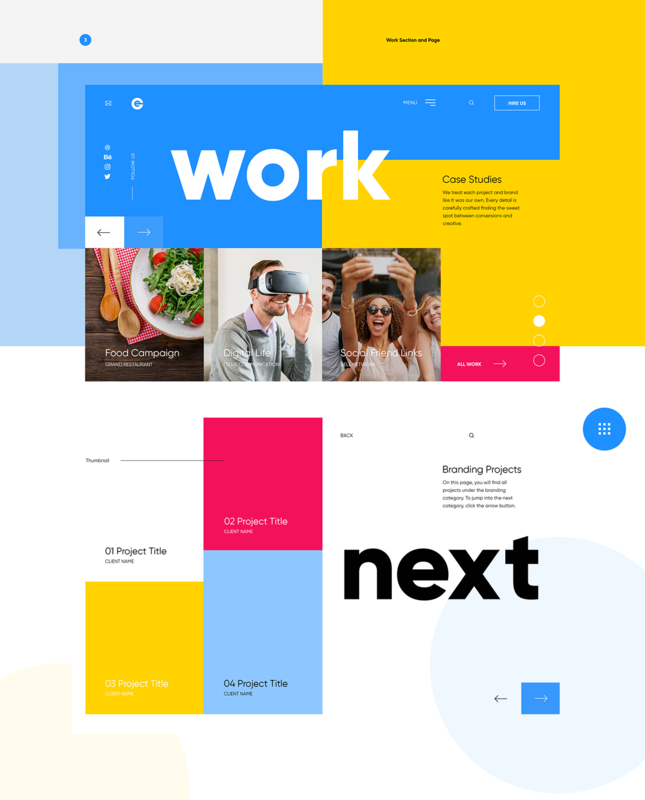 The goal of this project was to design a modern and trendy creative agency web layout style by using the 2018 web design trend techniques. The combination of bold large typography, vibrant colour schemes, asymmetry while still keeping it minimalist. 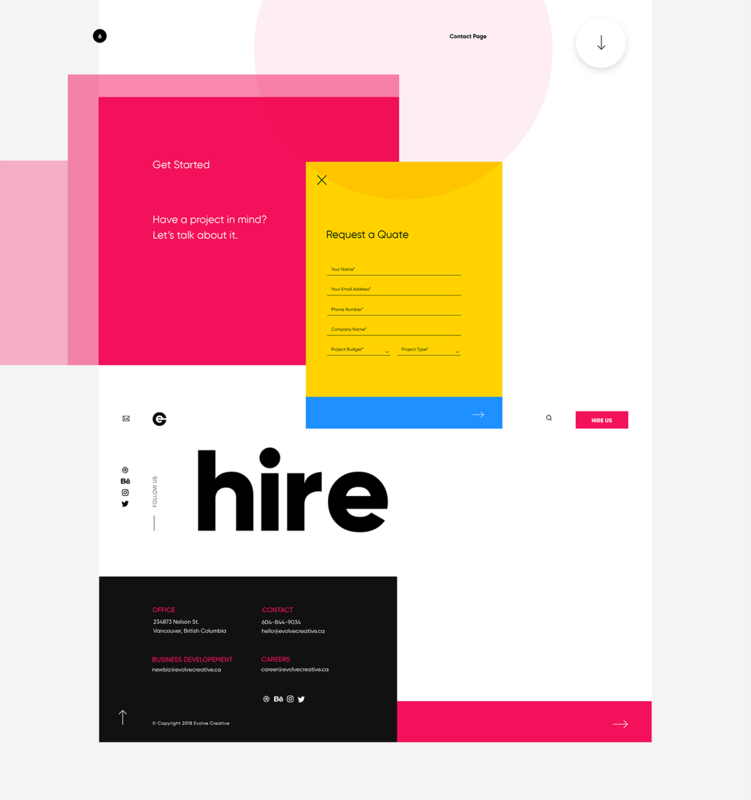 More white space and less component has been used for a rich layout approach and to give visitors an easy access as they journey through the site. 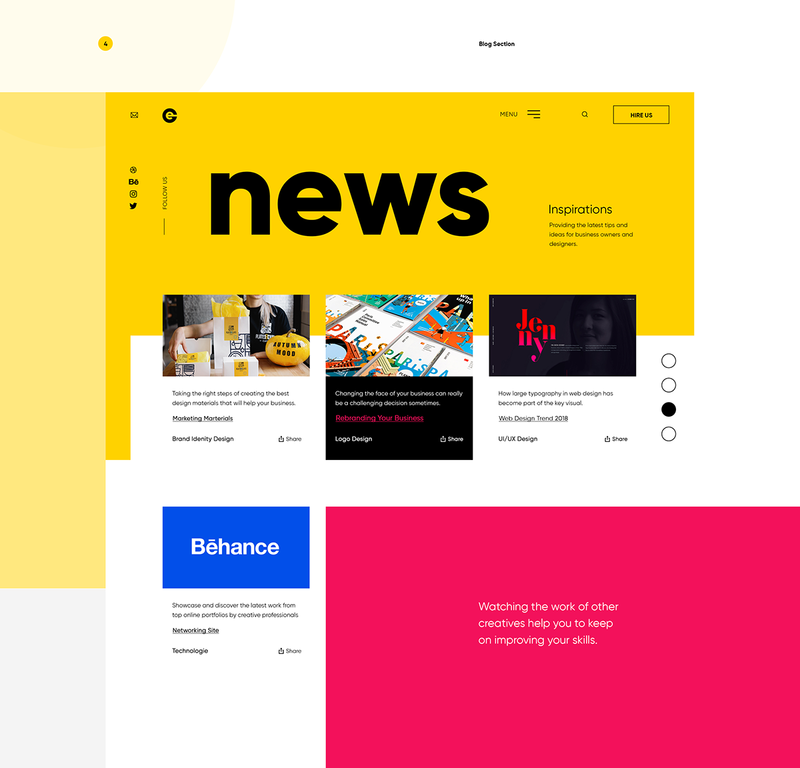 As I spend my weekends working on the new design for Abduzeedo I take a lot of time browsing for references and saving designs I think might be a good source of inspiration. 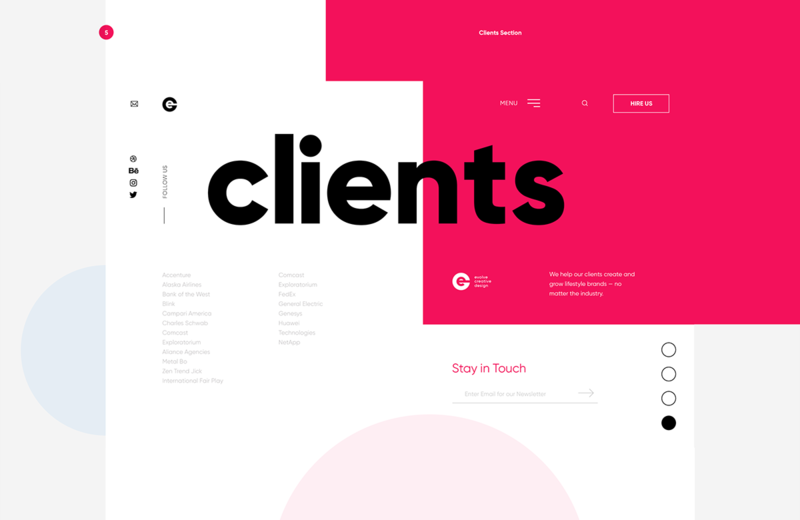 Behance is one of my favorites because it gives to designers more room to expose their work. I am a fan of concept projects in order to learn and explore different concepts. I do that all the time, especially to learn new tools or practice prototyping new ideas faster.